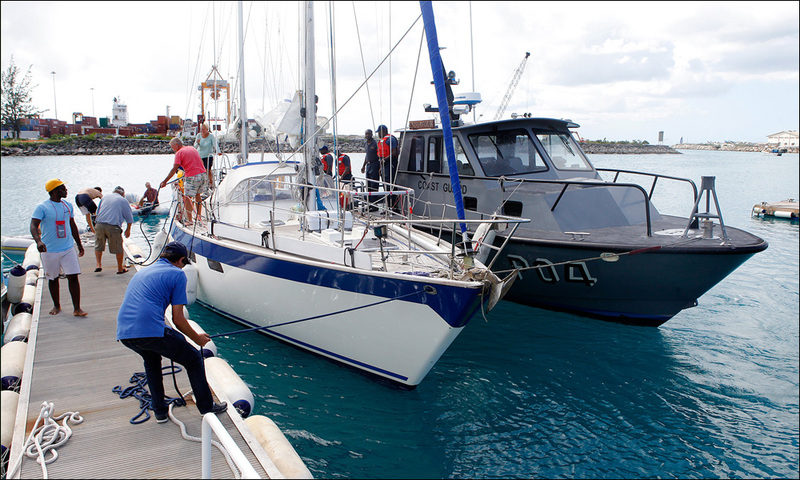 After more than three long weeks at sea without a working engine, the British yacht Sundowner is safely brought into harbour by the Barbados Coast Guard. 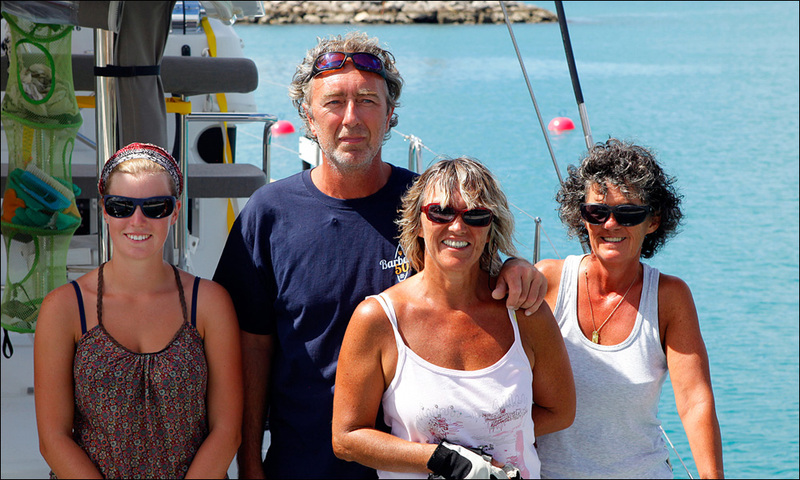 While in strong winds and rough seas shortly after the start of their passage from the Cape Verde Islands to Barbados, the British couple Susan and Howard had their diesel engine put out of action by sea water that had entered through the exhaust system. 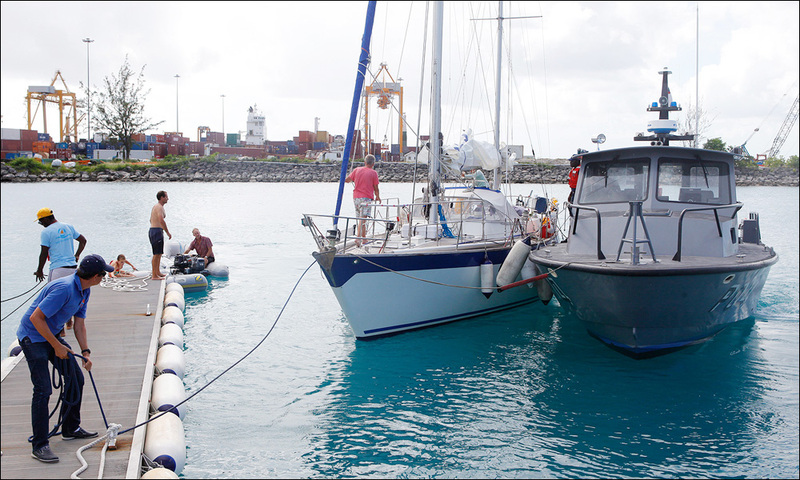 Howard dismantled the engine, drained and cleaned it, but was unable to get it to start again. 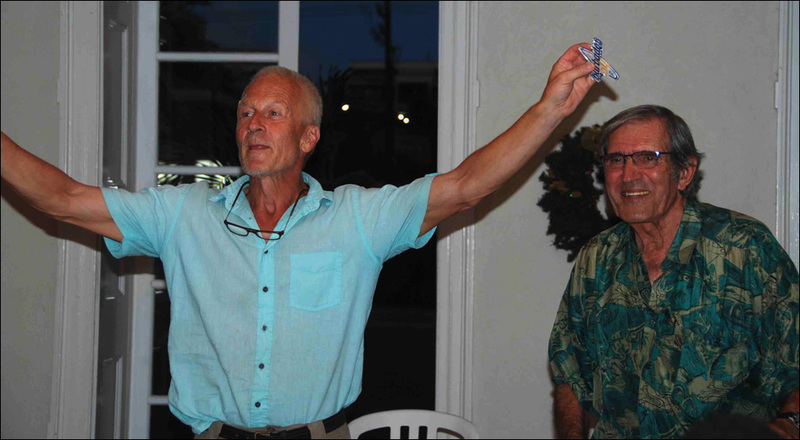 The problem was exacerbated by the fact that they had no means of charging their batteries and when the wind got light this was made even worse as the wind generator was not much help and so they could only rely on their solar panel. But this was only possible in daylight and even then, they had to turn the boat in such a way so that the mainsail did not overshadow the solar panel. 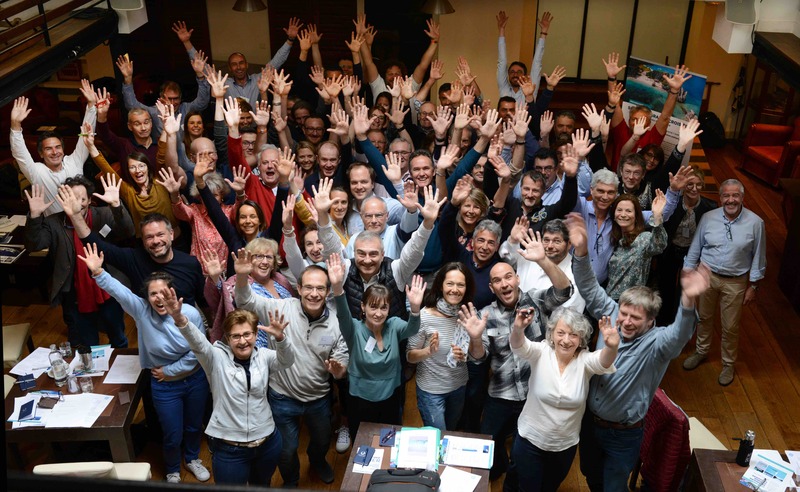 Somehow they managed and continued valiantly on keeping in contact by email with rally control over their satellite telephone. 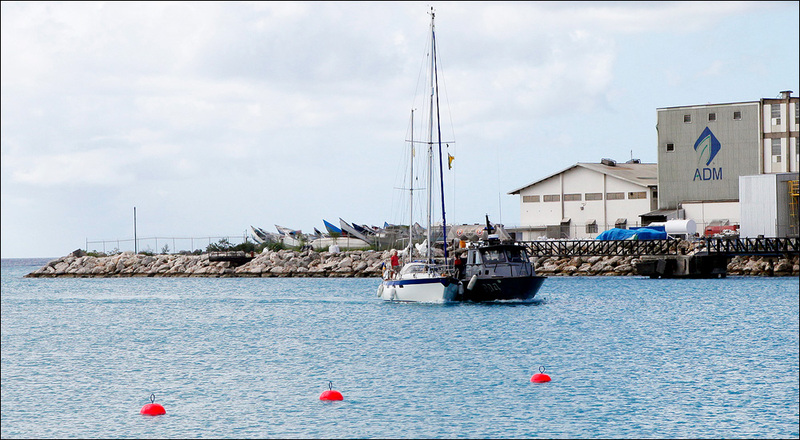 Shortly after making landfall south of Barbados, the Barbados Coast Guard launch came alongside, took them in tandem, and proceed thus for the last eight miles. 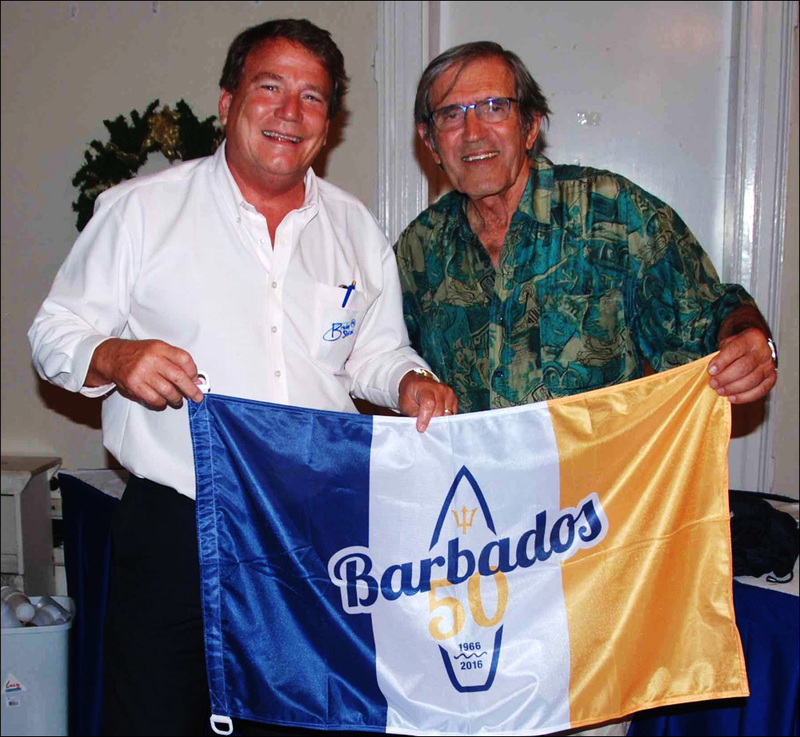 Their perfectly timed arrival allowed them to join the other crews at the farewell party for the first Barbados 50 fleet, held at the Barbados Yacht Club. 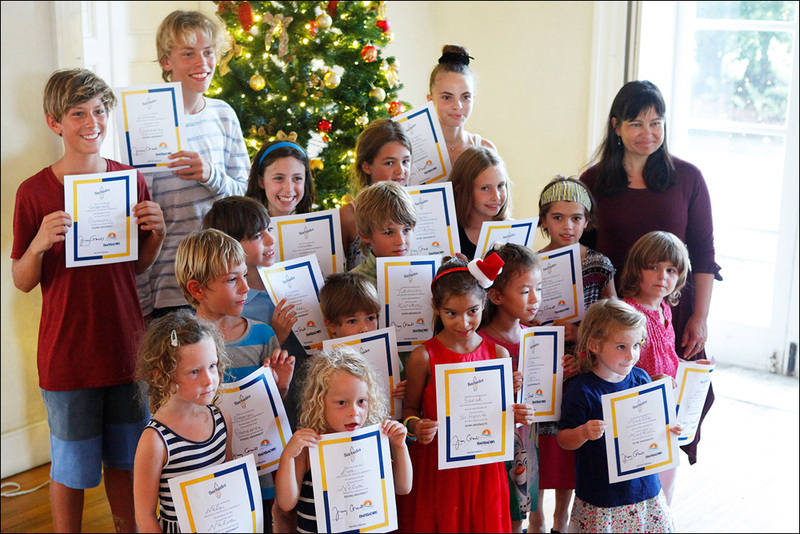 As in the case of all Cornell Sailing events, the first part of the function was dedicated to the 16 children who had crossed the Atlantic to Barbados, each child being presented by Doina Cornell with a special award recognising their achievement. 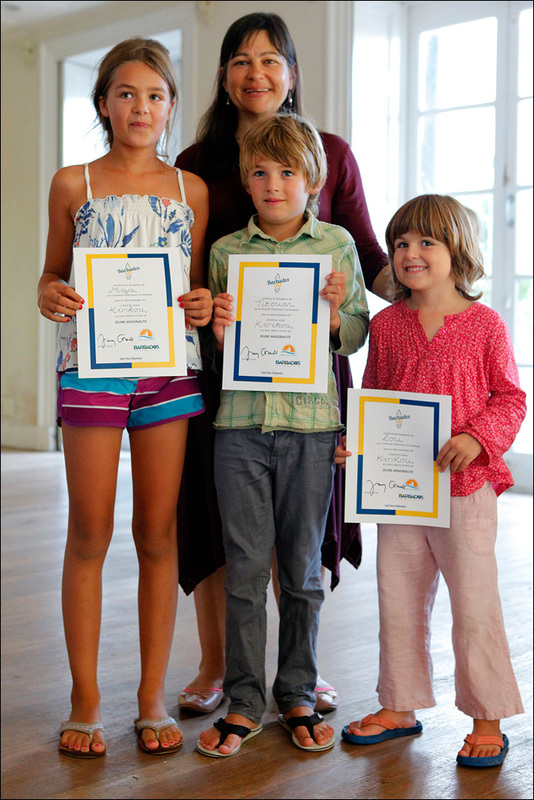 The award ceremony continued with the presentation of special awards. 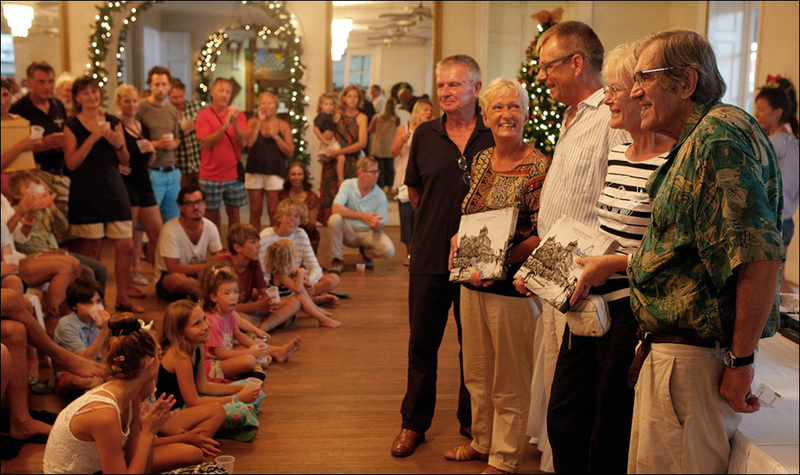 Rita Egle and Martin Mueller-Duysing on Maisie, and Susan and Howard on Sundowner received a special award in recognition of having been the only yachts that had started the event in London on 31 July and had sailed over 5,000 miles to be in Barbados during the festivities marking the 50th anniversary of independence. 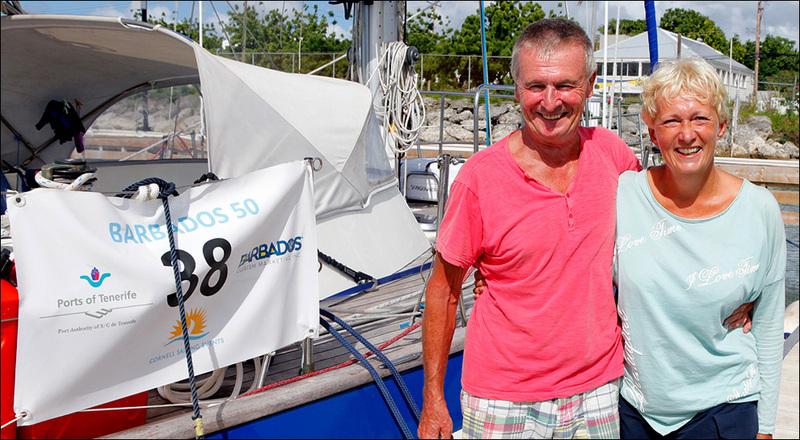 In fact, Rita and Martin deserved an additional mention because while taking part in a long-distance cruising seminar in Lanzarote in 2015 on hearing about the Barbados 50 rally they decided that they would sail from the Canaries to London for the start which indeed they did. 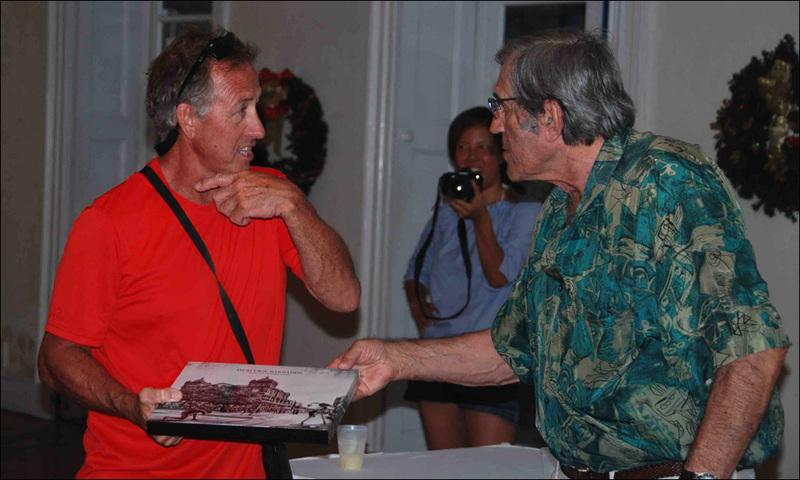 Special awards where then presented to several participants. 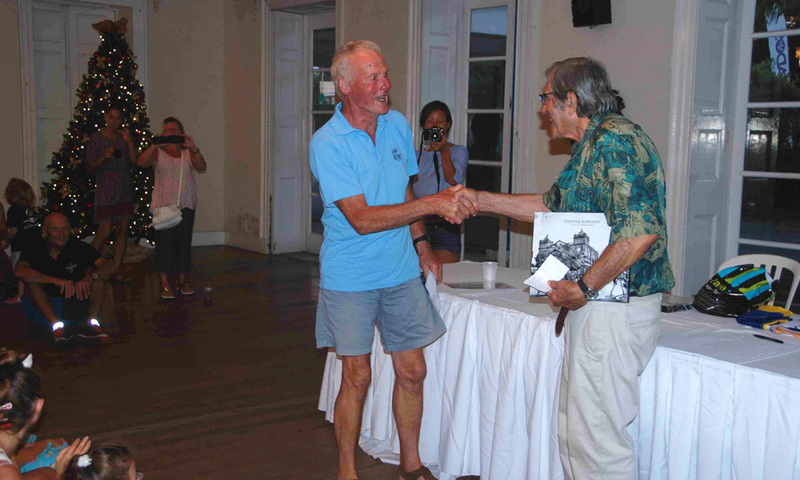 Donald Robinson, sailing on Lady Rebel, and at 84 the oldest participant in Barbados 50, received as a special award the book Barbados Heritage. 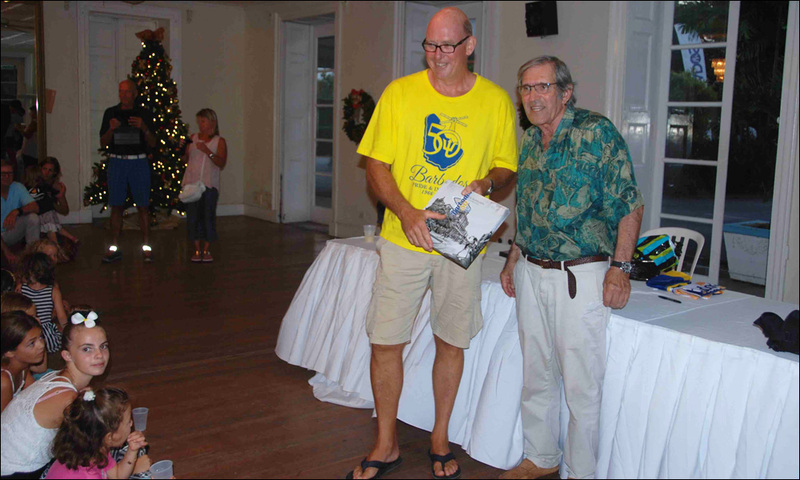 Tyron Standfield received a well applauded award for having swum from Gloria to Oysterbar, to give them a hand in sailing their disabled boat to Barbados (see earlier report on this site). 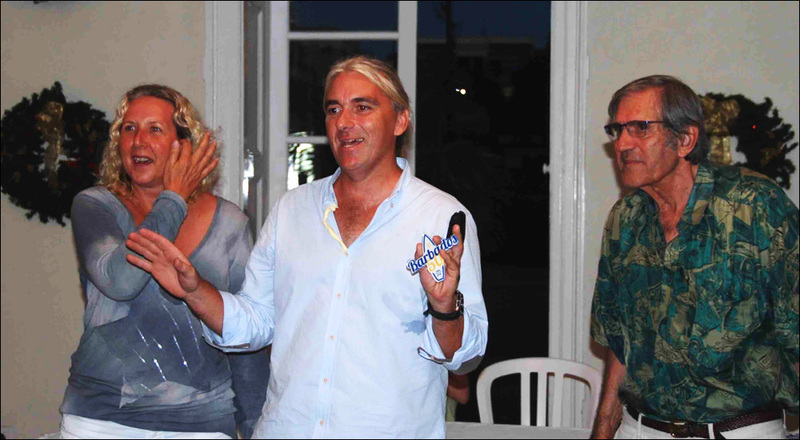 … a well deserved award also for Tim Sandford, skipper of Gloria, for setting up the transfer operation. 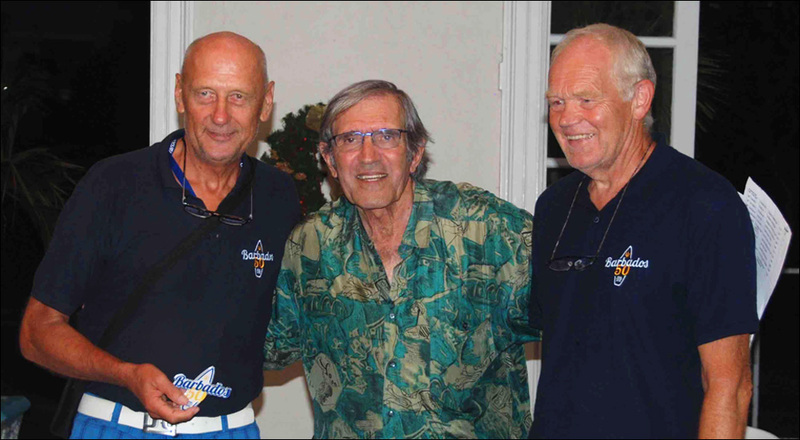 In all round the world rallies or special events, such as Barbados 50, that stretch over a longer period, we always make a point of presenting the most important award to the person who best represented the spirit of the event. 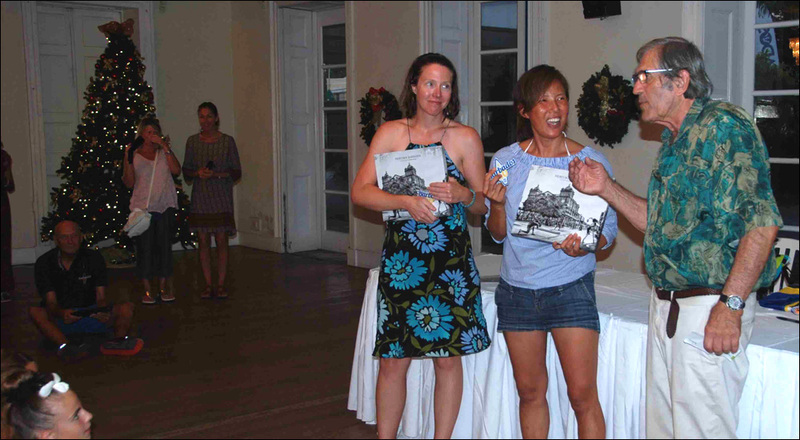 Our team spent quite a while making our choice and eventually we decided that there were two participants who stood out above all others in their enthusiasm, positive attitude and proactive role in organising various activities for all the others, so the Spirit of Barbados Award should go jointly to Angela Siegel of Laridae and Kelly of the yacht Jiyu. 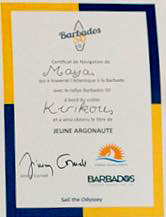 Special Barbados 50 souvenir logos were then presented to each yacht. 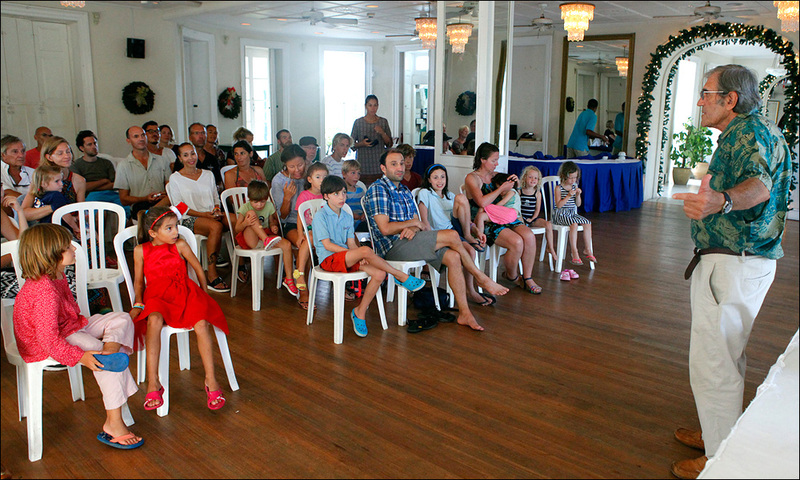 The prize-giving party had been hosted by our Barbados sponsors, Barbados Tourism and Marketing Inc. and the venue was the ever welcoming Barbados Yacht Club. 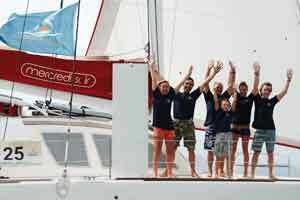 The true finale to this report occurred on Friday morning when the French catamaran Maryna II crossed the finishing line, the last of the 33 yachts making up the first fleet of Barbados 50.